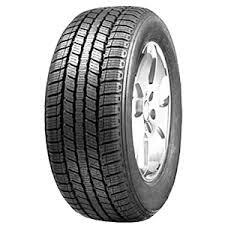 Roadstone Tyres are prodcuced in Korea and are part of the Nexen group. 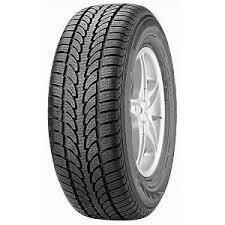 The brand was launched as a budget brand to compete with the other tyre brands in the budget range. After being in the tyre market for over 15 years Roadstone have built a good following with customers looking a good performing tyre at a good price. Roadstone produce tyres for Cars, 4x4\'s and light trucks and have a strong repution for having good handling on dry and wet roads. Winter tyres are increasing in popularity all the time, with many drivers opting to own a set of winter and summer tyres for maximum performance, life and value from each set. S110 tyres from Rockstone offer great grip and stability in wet, dry, snowy and icy conditions, making the winter much less troublesome than before and allowing you to complete every journey much easier. Choose these S110's from Rockstone for great results throughout the colder time of the year. S210 tyres from Rockstone are a great choice of winter tyres that will keep you travelling no matter what the conditions are. These options deal with wet, dry, snowy and icy conditions much better than summer and all year tyres as they are designed to run better at lower temperatures, so you can find better performance and longevity. Winter tyres like the S210’s are increasing in popularity each year as drivers look to get the most life and performance out of every set so don’t miss out on your chance to own these great options.